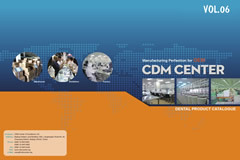 CDM Center of Excellence Ltd. is a leading Chinese dental product manufacturer for worldwide OEM customers with an extensive product assortment and exquisite service program. CDM Center of Excellence Ltd. has expanded its product program over the last years to an multiple assortment of consumables, disposables, endodontic instruments and appliances, diversified materials and instruments. The new CDM Design and Research Center sets high technical standards based on technical, material and software equipment. For over years we have provided OEM solutions to the dental industry’s leading brands across North and South America, Europe, the Middle East, Australia and the Asia Pacific Region. The production facilities consist of over 28,000 square meters of production, warehouse, office and support areas implementing high-tech modern technologies to ensure the highest quality products and service for your operations. With CDM Center of Excellence Ltd. manufacturing facilities in China, and its international co operations the worldwide business growth and technology transfer for the overall group of companies will be accelerated further on. The steady and continuing growth for CDM Center of Excellence Ltd. is based on permanent Research and Development activities, new production lines, a safe supply channel system and permanent technical and quality control and upgrades of our manufacturing facilities and products. For over years, we have built customer relationships that are focused on our corporate responsibility seriously by engaging in ethical, honest, and sustainable business practices. Our agility, customer dedication, and common sense solutions drive our product and business values and are important part of our motivation and leadership. All CDM Center of Excellence Ltd. products, instruments, appliances, preparations are developed, manufactured, and assembled based on state-of-the-art laboratory and production standards and international regulations. This guarantees that CDM Center of Excellence Ltd. product quality is subject to thorough monitoring. 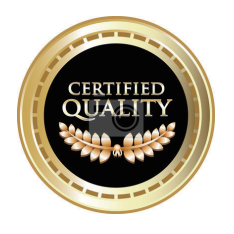 With intensive testing and a certified quality management system, we ensure the ongoing and consequent adherence to the highest quality standards for our OEM / Private Label and Delian brand products.